Get ready to think differently and spend less on your e-commerce infrastructure with Webscale – the world’s first fully integrated web application delivery platform. 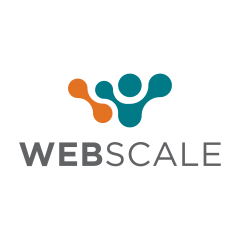 Webscale provides complete control over a web application, offering predictive auto scaling, single screen monitoring, self-healing and multi-cloud support. With the addition of free cloud migration services for qualifying customers, Webscale is the fastest, most powerful and affordable path to the cloud.